Reginald A. Pacis is a shareholder practicing in Butzel Long's Detroit office. He concentrates his practice in immigration law and has handled a variety of immigration matters including H-1B specialty occupation cases, L-1 Intracompany transfers, Labor Certification matters, Immigrant Visa Petitions/ Adjustment of Status applications and interviews, TN Free trade cases, H-1B Department of Labor Investigations, I-9 employer verification compliance, and U.S. Port of Entry airport and land port interviews. Mr. Pacis is listed in The Best Lawyers in America and Michigan’s Superlawyers (Immigration Law). He was recognized as "Lawyer of the Year” in Immigration law in 2013 by Best Lawyers and he continues to maintain an AV rating in the Martindale Hubbell publication. 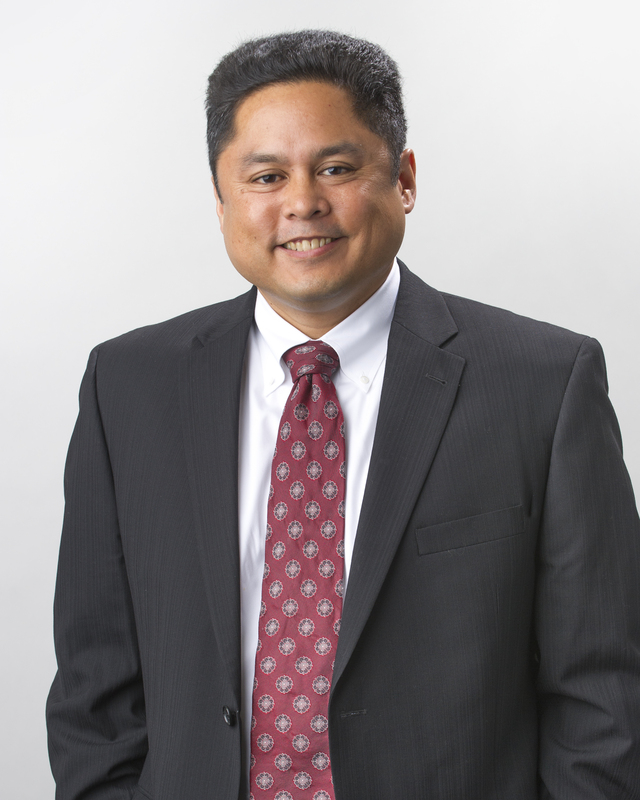 Mr. Pacis is a member of the American Bar Association, the American Immigration Lawyers Association (AILA), and the Samahang Pilipino Ng Oakland Filipino organization. He served two consecutive terms from 2003 to 2004 and 2004 to 2005 as Chairperson of the Michigan Chapter of AILA and was a member of the AILA National Board of Governors for those terms. He previously served as Secretary (2001 to 2003) and Membership Chairperson of the Michigan Chapter of AILA (1998 to 2003). Mr. Pacis has been a speaker on immigration topics at many business, Hispanic, and Filipino presentations. He is a frequent presenter in the Annual Butzel Long Immigration Seminar. He was a presenter and member of the faculty for the 2004 AILA National Conference in Philadelphia, Pennsylvania and published in the 2004 AILA National Conference materials with an article discussing Special Registration of certain classes of immigrants. He was a presenter and discussion leader at the 2006 AILA National Conference in San Antonio, Texas. As part of a panel of immigration lawyers in 2007, Mr. Pacis spoke on immigration employer compliance issues for an immigration seminar sponsored by the Governor's Advisory Council on Asian Pacific American Affairs in Lansing, Michigan. He testified during the January 18, 2008 Michigan Senate Transportation Committee's public hearing that examined the impact of proposed drivers license legislation on immigration issues. He was also a presenter at the 2008 AILA National Conference in Vancouver, British Columbia Canada and published in the 2008 AILA National Conference materials with an article discussing border immigration issues. He testified on June 18, 2010 during the open session at the Michigan Advisory Committee to the U.S. Commission on Civil Rights public meeting examining the proposed immigration bill similar to the recently enacted Arizona bill. He was a presenter and discussion leader in the 2010 AILA National Conference in National Harbor, Maryland, the 2011 Spring AILA Conference in Washington, D.C., the 2011 AILA National Conference in San Diego, California 2014 AILA National Conference in Boston, Massachusetts, and the 2015 AILA National Conference held again in National Harbor, Maryland. He was also a speaker in a video presentation discussing family law and immigration law for ICLE (Institute for Continuing Legal Education) in 2014. Mr. Pacis' article, "Changes Involving the Visa Waiver Program and the Michigan Driver's License Application Process" appeared in the Winter/Spring 2009 issue of the Michigan International Lawyer published by the State Bar of Michigan. Mr. Pacis has served in a variety of committees in the Filipino and professional communities. He completed an appointment by Governor Granholm for service on the Advisory Committee for Asian Pacific American Affairs (ACAPAA). He served on the Michigan AILA Advocacy Committee from 2007 to 2010. He was appointed by Governor Snyder to serve on the Michigan Asian Pacific American Affairs Commission (MAPAAC) for a four year term from 2019 to 2022. Mr. Pacis previously served as Chairperson of the Michigan AILA Committee responsible for liaison with the Michigan Customs and Border Protection ("CBP") Agency, a division of the U.S. Department of Homeland Security presiding over inspections and security of the U.S. border, from 2005 to 2007. His service expanded to the AILA National CBP liaison Committee as a member, Vice Chair and Chairperson of the AILA National CBP liaison Committee. He also served as Vice Chair on the AILA United States Citizenship and Immigration Services ("USCIS") Field Operations Liaison committee, the AILA education “Distance Learning” committee, and the USCIS/ AILA Nebraska Service Center Liaison committee. He presently serves on the USCIS/ AILA National Benefits Center liaison committee. USCIS is the agency that presides over U.S. immigration benefits such as green cards and petition approvals. Mr. Pacis received his J.D. from the Detroit College of Law at Michigan State University in 1996 and his B.A. from James Madison College at Michigan State University in 1992. He joined the State Bar of Michigan in 1997. James Madison College at Michigan State University 1992, B.A. Detroit College of Law at Michigan State University 1996, J.D. Best Lawyers' 2013 Detroit Immigration Law "Lawyer of the Year"
Obtained approval of Immigration Petition for Alien of Extraordinary Ability for various professionals including engineers, scientists, corporate executives, professional athletes, entertainers, coaches, and trainers. Represented clients with applications of waiver of inadmissibility due to past legal history or immigration history. Represented employers during investigations conducted by Immigration and Customs Enforcement or Department of Labor regarding employment verification issues. Represented employers in investigations conducted by the USDOL concerning H-1B Labor Condition Application public access file including benching and wage and hour issues. Represented clients in complex naturalization matters including restoration of U.S. citizenship, appeals for denied naturalization applications, and evaluate strategies for overcoming grounds of ineligibility. Managed multi-country projects and obtained work authorizations in multiple jurisdictions for individuals of various nationalities. Analyzed effect of corporate changes, including mergers and acquisitions, on foreign national’s immigration status. Assisted employers in obtaining appropriate nonimmigrant classification (TN, H-1B, H-3, L-1A, L-1B, O-1, E-1/E-2, P) and immigrant classification (EB-1, EB-2, EB-3 and EB-5). Evaluated retention of dual citizenship for U.S. and other countries such as Germany, Italy, Australia, Canada, etc. Provided preventative counseling on Department of Homeland Security and Department of Labor investigations and employer sanctions. Warning: Updated Information Regarding Travel Returning to the U.S. Warning regarding travel returning to the U.S.